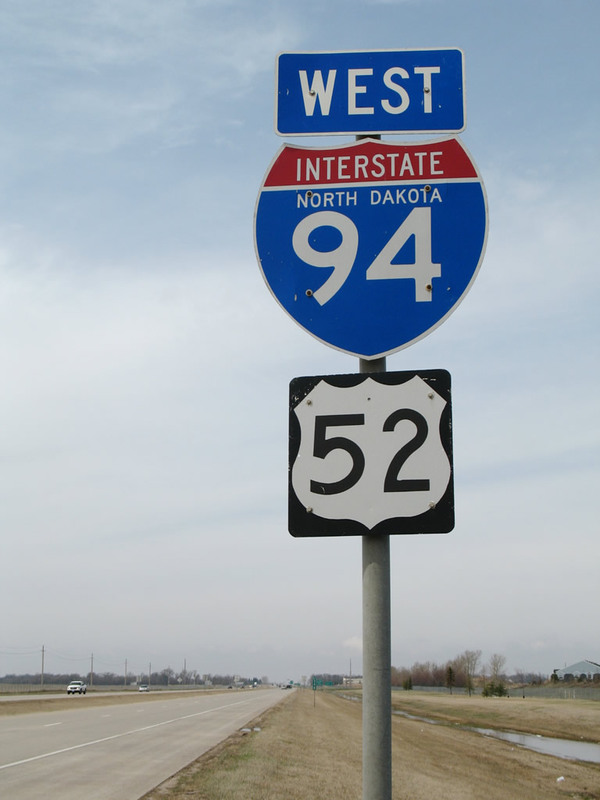 Westbound Interstate 94 and U.S. 52 reassurance shields after Exit 348, 45th Street. Photo by Alex Nitzman, 4/22/2007. Click here to browse through the North Dakota selection of our catalog of historic signs!